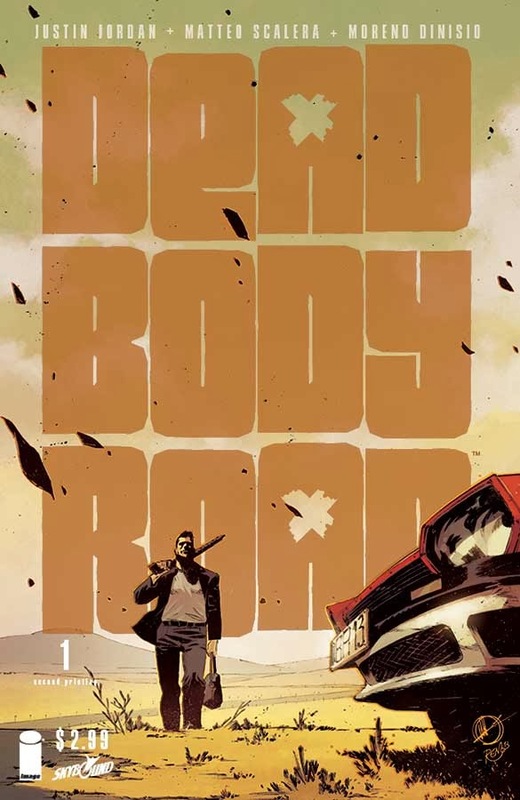 The first issue of the highly anticipated new series DEAD BODY ROAD by writer Justin Jordan (LUTHOR STRODE) and artist Matteo Scalera (BLACK SCIENCE) has already garnered critical acclaim and sold out at the distributor level. This action-packed revenge story begins with a bloody bank robbery, and escalates to one man's mission to find out why his wife died in it... and execute everyone responsible. 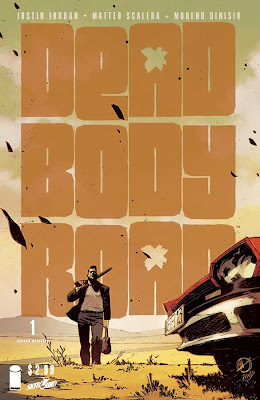 DEAD BODY ROAD #1 has completely sold out at the distributor level, but may still be available in comic stores, and is currently available digitally on the Image Comics website (imagecomics.com) and the official Image Comics iOS app, as well as on Comixology on the web (comixology.com), iOS, Android, and Google Play. Image Comics is pleased to announce that this first issue will be going back to print to meet customer demand. The second printing of DEAD BODY ROAD #1 (Diamond Code NOV138092) will release on 1/22/2014. DEAD BODY ROAD #2 releases 1/22/14 and will be available for pre-order with Diamond Code NOV130499.